Originally published in 1985. Latin America is a region where widespread economic, social and political changes are taking place. Some countries, such as Brazil, are becoming new industrial giants, whereas others with good prospects are performing poorly in the economic sphere. In politics, countries such as Cuba are leading world revolutionary powers; whilst in others right-wing military regimes prevail. Political revolutions occur frequently. All this change and instability is closely bound up with education. Education systems and courses are greatly affected by social, political and economic changes; and at the same time education is used to steer changes in particular directions. This book surveys the current state of education in Latin America. It reviews the nature of education systems and the content of courses, and discusses a range of key themes, in particular those concerned with the connections between education and political, economic and social change. 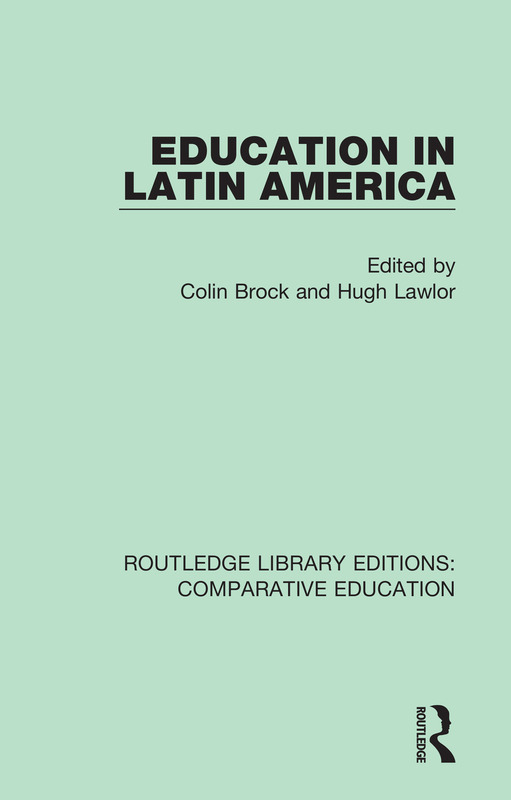 There is no attempt in the book to provide a blanket coverage of educational issues and problems in Latin America, but rather to concentrate on a description and critical analysis of formal educational provisions in some countries of the region.